Game of Thrones Season 7 Episode 6 The Hunt LEAKED!!! 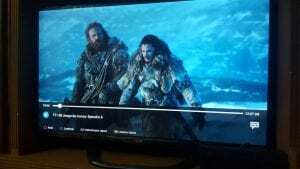 The employees apparently had privileged access to the GoT S07E04 “Spoils of War” and were able to leak a low res buggy version of the episode two days before its telecast. The airing of next episode i.e. Game of Thrones S06E05 “Eastwatch” went rather smoothly as the original server hackers leaked the episode script but the episode itself was not leaked. How comes the bombshell. HBO Spain has accidentally have leaked the upcoming Game of Thrones Season 7 Episode 6 “Death Is the Enemy” full five days before it is supposed to be aired on Sunday 20th August. The accidental leak was enough for hackers to copy the article and spread it through torrent websites. While we cannot give the links to the leaked GoT S07E06 “Death Is the Enemy,” Googling or keeping your eye on your social media network will give you the 6th episode link. The supposed leak came to light when users reported that episode was available to watch on HBO España’s website for a few hours as the screenshot posted above on Reddit shows. Many other individuals have also reported that the episode was also streaming on Twitch and YouTube before they got taken down. Since then, there have been no reports of the episode being available, either on the website or via a torrent. However, that has not stopped individuals from sharing smaller clips and screenshots of the episode that seem to confirm that the leaked episode was not a hoax. One such clip can be seen below. This leak in the latest addition to the long list of unfortunate incidents that have affected HBO recently. In July, there were reports that around 1.5 TB of content was stolen from the company. Since then, hackers have released episodes of different series including Ballers, Room 104, and Curb Your Enthusiasm, scripts of unaired Game of Thrones episodes and even personal information of actors working for HBO. As we said earlier, 2017 certainly seems to be jinxed for HBO as its golden egg laying hen is being cut to pieces episode after episode.